Carnegie Mellon University professor Russ Salakhutdinov has been hired by Apple to lead a team focused on artificial intelligence, according to a tweet Salakhutdinov sent out this morning. He will continue to teach at Carnegie Mellon, but will also serve as "Director of AI Research" at Apple. In his tweet, Salakhutdinov says he is seeking additional research scientists with machine learning expertise to join his team. An included job posting asks that candidates have experience with Deep Learning, Computer Vision, Machine Learning, Reinforcement Learning, Optimization, and/or Data Mining. Salakhutdinov specializes in statistical machine learning and has authored many papers on neural networks, deep kernel learning, reinforcement learning, and other related topics. His expertise may be used to improve services like Siri, which has been in the spotlight recently after journalist Walt Mossberg wrote a piece calling the personal assistant "limited," "unreliable," and "dumb." 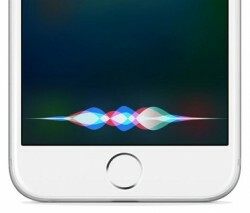 Siri is powered by a neural network and uses machine learning techniques to improve over time, as do other Apple features like Spotlight, QuickType, Photos, autocorrect, Maps, and more. Salakhutdinov's hiring comes as rumors suggest Apple is aiming to improve Siri as part of an effort to build the personal assistant into an Amazon Echo-like smart home product that would be able to do things like control smart home accessories. Apple is also on the verge of finishing an R&D research center in Yokohama, Japan, which will focus on "deep engineering" and developing Apple's artificial intelligence services. Looks like they're getting serious!! Everything that'll help Siri to become more clever is welcome! Seems like a controlled news leak in response to Walt Mossberg. Looks like they're getting serious!! Awesome news! Siri was cool in 2011, but is currently where I expected it to be in 2013. They haven't kept up with the rest of the industry. Why? Secrecy. The culture for all of these researchers is collaborative, open source work where they share results and help each other iterate and build better software. I read somewhere that Google's people are regularly contributing to the community of research around AI, machine learning, neural networks—whatever it may be. Secrecy is a big deal with Apple, but the type of people who are passionate about this aren't interested in working at places like that. They don't thrive in a vacuum isolated from their peers. Probably just a coincidence but it never ceases to amaze me how influential Mossberg is. Lots of emphasis on Siri lately. And, really... thank heavens. I don't know, AI is sketch if you ask me. It's fine for now, but once this starts getting more advanced, we better have a factory reset protocol for these things. I would not admire a company who benefits from the open source community without contributing to it.